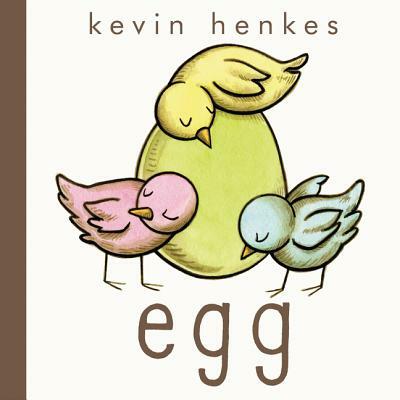 Egg is a graphic novel for preschoolers about four eggs, one big surprise, and an unlikely friendship, by Caldecott Medalist and New York Times-bestselling author Kevin Henkes. Egg is not only a perfect Easter gift, but also a classic read-alone and read-aloud that will appeal all year long. This masterful and stylistically original picture book introduces young children to four eggs. One is blue, one is pink, one is yellow, and one is green. Three of the eggs hatch, revealing three baby birds who fly away. But the green egg does not hatch. Why not? When the three birds return to investigate, they’re in for a big surprise! What will happen next? With a compelling mix of comic-like panels, wordless pages and spreads, and a short text featuring word repetition, surprise, and suspense, Egg is an ideal book for emergent readers, as well as for sharing in a group. Egg is sure to inspire creativity and storytelling in preschoolers, as they anticipate the page turns and determine their own endings! Kevin Henkes is the bestselling author of Lilly’s Purple Plastic Purse, Waiting, and Kitten’s First Full Moon, among many other beloved titles.